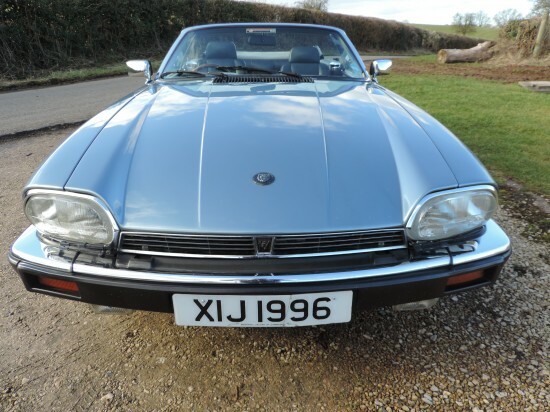 The the XJS Coupe and XJS Convertible filled a 21 year gap from 1975 to 1996 between the outgoing Series 3 E-Type V12 and incoming V8 powered XK8 and XKR models. 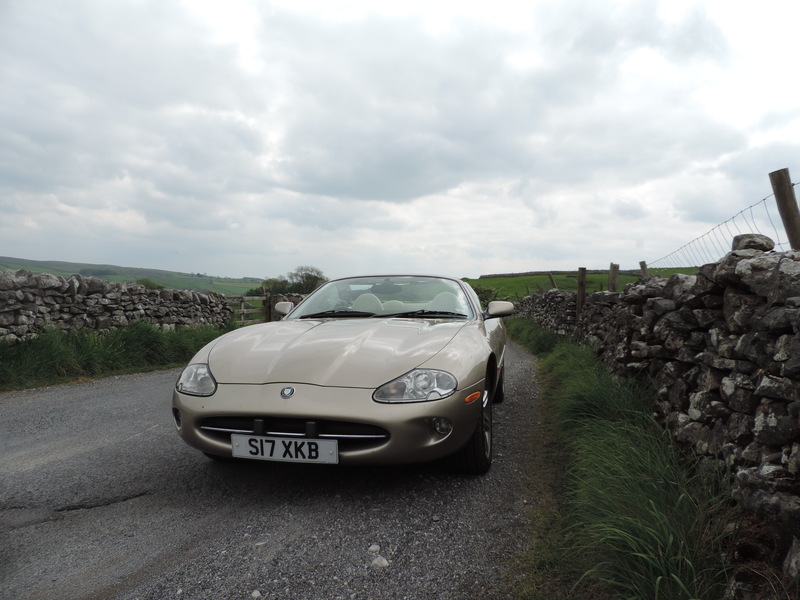 Often maligned over the years the tide now appears to be turning with a growing appreciation of designer and aerodynamicist Malcolm Sayer’s other Jaguar Grand Touring masterpiece. 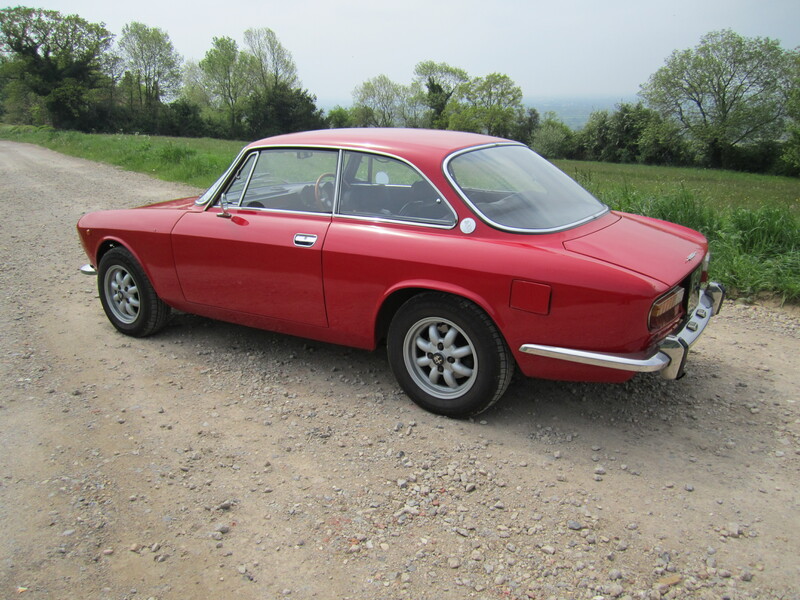 Malcolm Sayer had already penned the XJS (Code name XK-F) in the 1960s and a prototype had been built to confirm an improved drag coefficient over the E-Type, praise indeed. Unfortunately Malcolm’s sudden and untimely death in 1970, he was just 54, meant he never saw the fruit of his labours and Sir William Lyons had to complete the project internally without his expertise on hand. 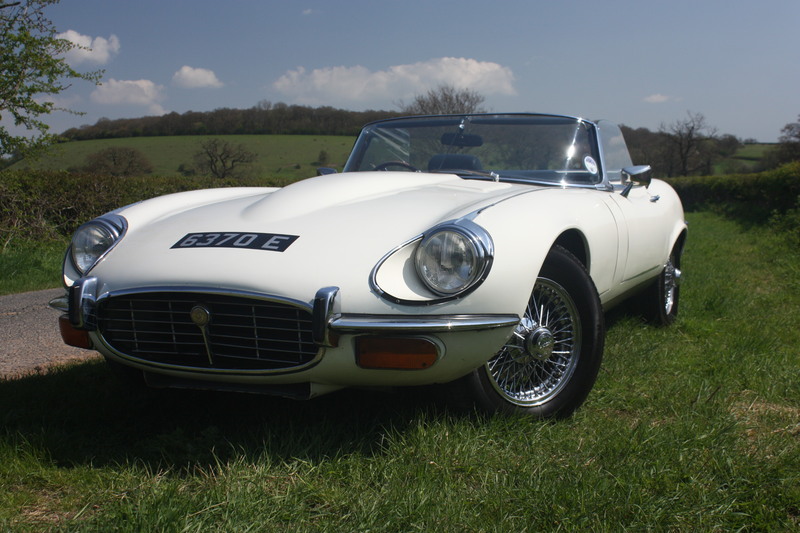 The E-Type was always going to be a tough act to follow despite looking old by 1975 and also powered by Jaguar’s 5.3 litre V12 and no longer a 3.8litre or 4.2litre straight six. 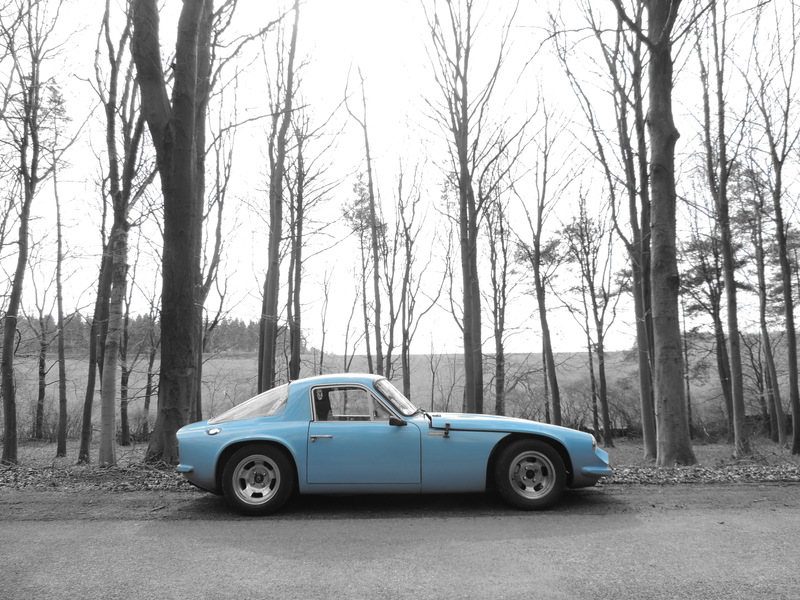 The latter point is important because it completely changed the E-Type driving characteristics from lithe sports car to far weightier Grand Tourer. 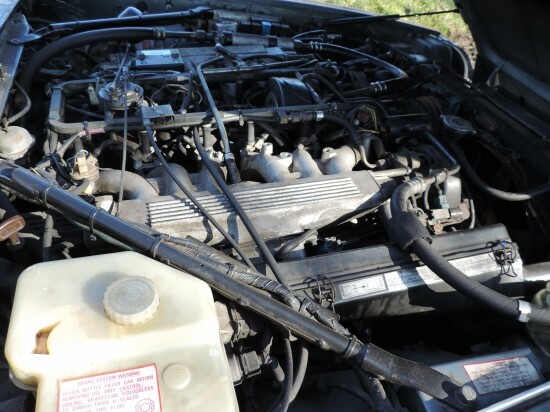 Bringing in the V12 XJS with a fuel injected equivalent engine on a brand new XJ6 based chassis with proper sized doors, easy access, refinement and plenty of space up front as a recipe on paper at least should have worked. The downside though at the time was an international fuel crisis and horrendous build quality issues back at the Browns Lane Coventry plant, a recipe instead for an awkward start in life only deteriorating further with reducing sales year on year to leave a slightly bitter taste. Just to cement its fate further the decision not to build a convertible back fired when predicted legislative changes in North America didn’t materialise leaving the two seat roadster door wide open once more. That meant there were no more E-Types and nothing on offer from Jaguar without a roof. In 1980 things began to look up when new Jaguar Chairman, Sir John Egan, took to the helm to focus on quality and fuel efficiency. Quality was always going to take time but efficiency came much quicker with the introduction of HE models sporting new cylinder heads that benefitted from Swiss engineer Michael May’s Fire Ball combustion technology to better mix inlet gases and fuel together prior to combustion enabling a leaner mix to be used. 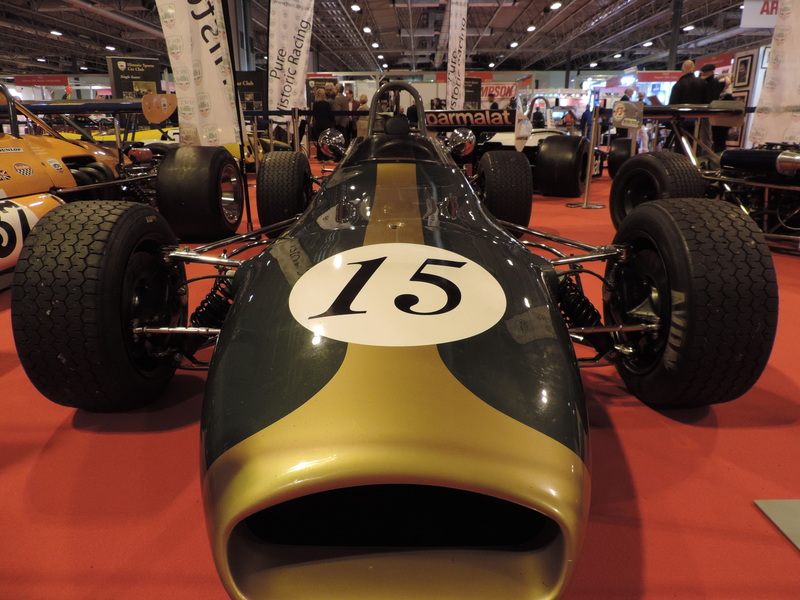 This was quickly followed by the launch of new AJ6 engines in smaller 3.6litre form to further widen appeal. By 1983 things were already turning around with increased sales although the convertible gap still needed filling. 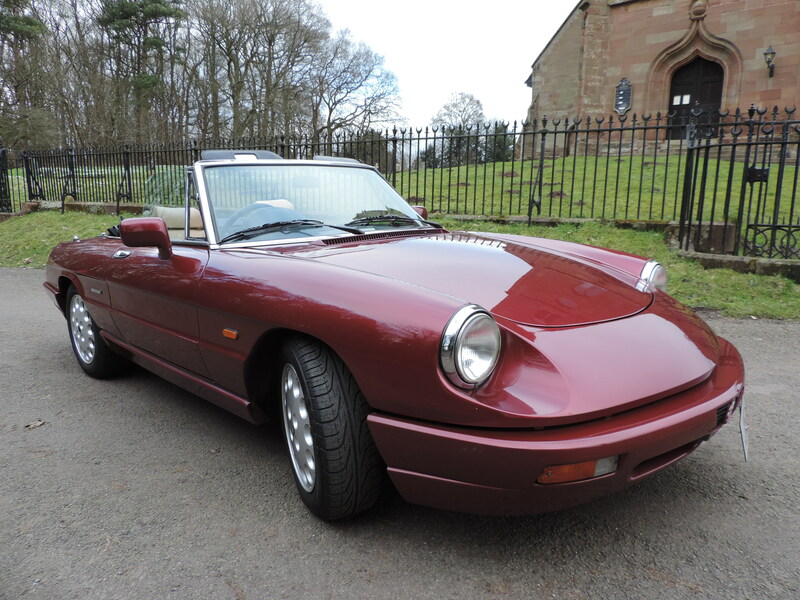 Forgetting Jaguar’s disastrous attempt at a Stag like Targa top, with the roof literally cut off of Coupe body shells, it was left to American coachbuilder H&E to convert around 900 cars from 1986 before finally at the 1988 Geneva motor show Jaguar launched its own soft top car. 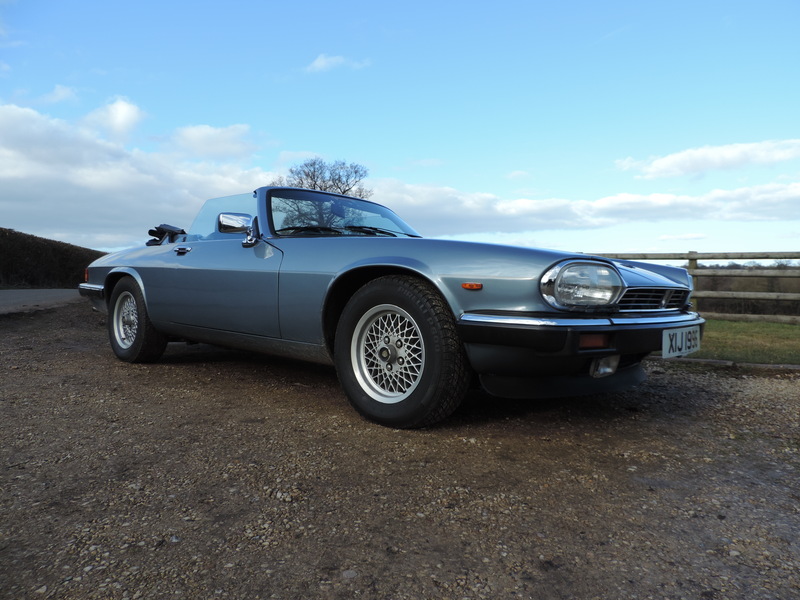 The Great Escape Classic Car Hire 1990 XJS Convertible is one such handsome looking pre-facelift car presented in light metallic blue. 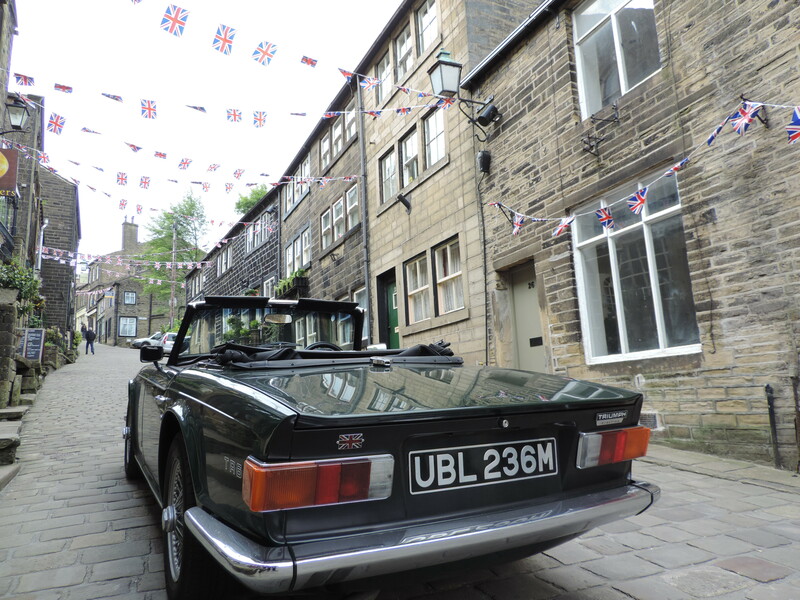 It also has the original lattice alloy wheels, internal wood trim and power bulge in the bonnet, a feature added to V12s despite it only being necessary on six cylinder cars. There is certainly nothing wrong with how this car looks, in fact, Lister Le Mans and TWR specials aside, I would go as far as saying this is the best looking XJS model, coupe or convertible, of all time. 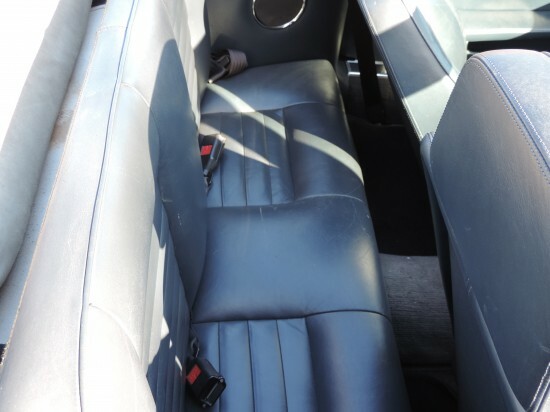 Sit in and there is plenty of space as well upfront with tiny retrofitted rear seats enabling small children, pets or additional bags to be slotted in behind. 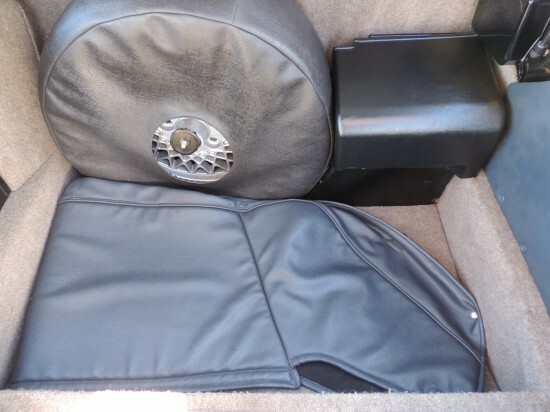 Not that the latter is essential, the boot space is more than adequate. There are extremely comfortable power seats and an easy to operate electric hood that simply requires the handbrake to be on and two windscreen clamps released to be quickly lowered. Unlike H&Es conversion the roof doesn’t fold flat but then equally it doesn’t encroach into the boot space either and so can be forgiven for that. The view forward is premium 80s trim with slightly odd but not unpleasant rotating dial gauges for oil, temperature and fuel. The latter still far too eager to drop quickly incidentally, even in this Michael May rework HE V12 model. 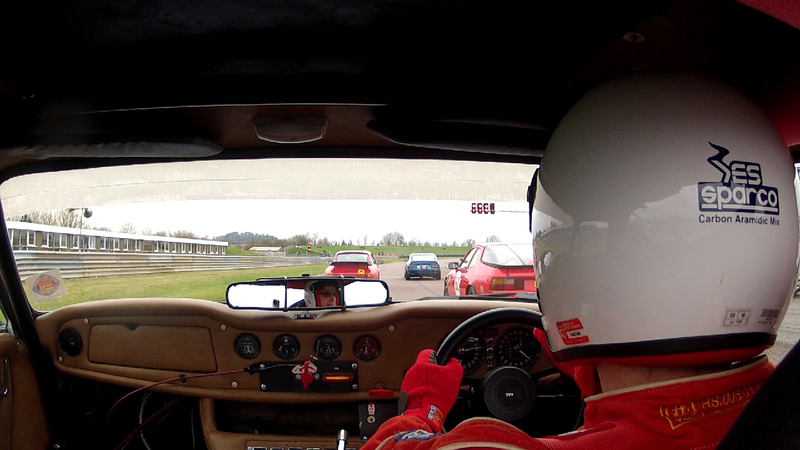 …well up front anyway. 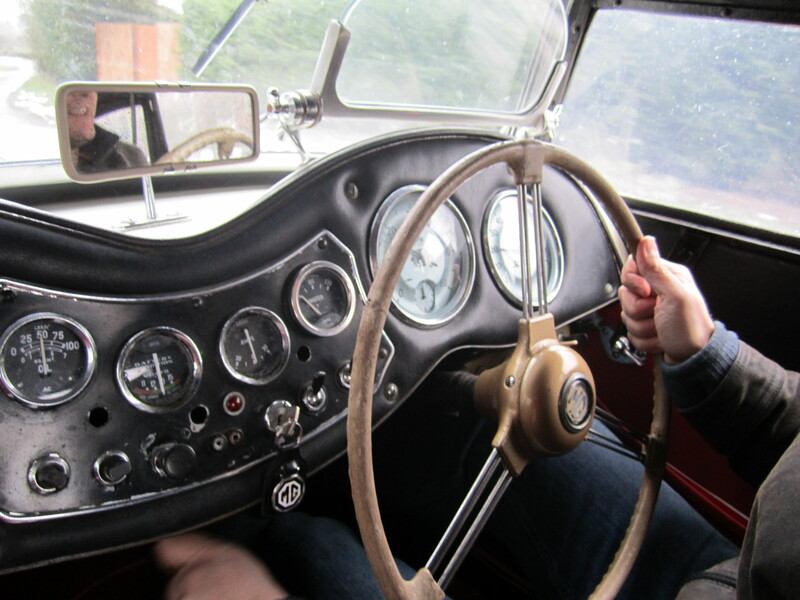 Convertibles were strict two seaters, this one has been converted to a 2+2. 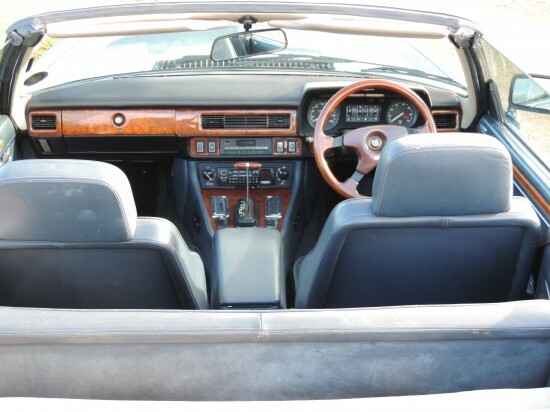 Driving the XJS Convertible couldn’t be easier, the classic 3 speed auto gearbox requires no additional management after D is selected with the 295bhp Lucas fuel injected V12 providing great range and ability. 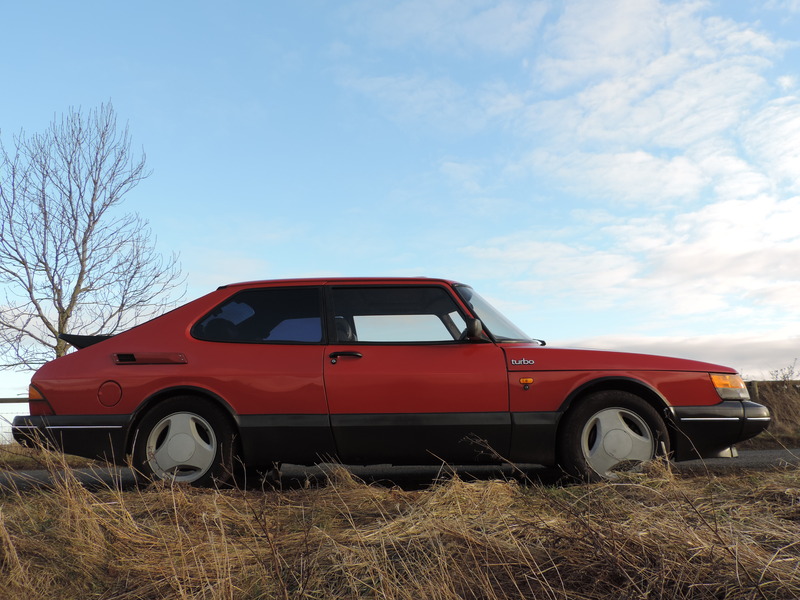 Odd then that we got completely blown away on a dual carriageway by a standard looking Audi A5 TDi; but then that is progress after all and perhaps in the case of the XJS Convertible slightly missing the point. Because unless you are OPEC it is highly unlikely you will be commuting in this car. 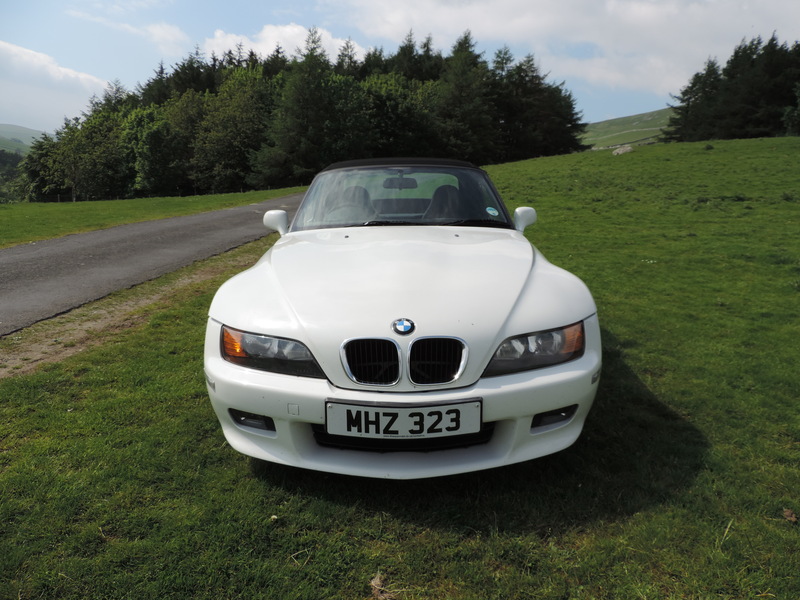 No this is a treat, a weekend away, a cruise in the countryside where the odd £100 refill of unleaded is just one part of the total cost of what you have planned. The subtlety of the XJS Convertible V12 experience is one that no diesel powered car will ever match in terms of the sound it makes or smoothness it provides. 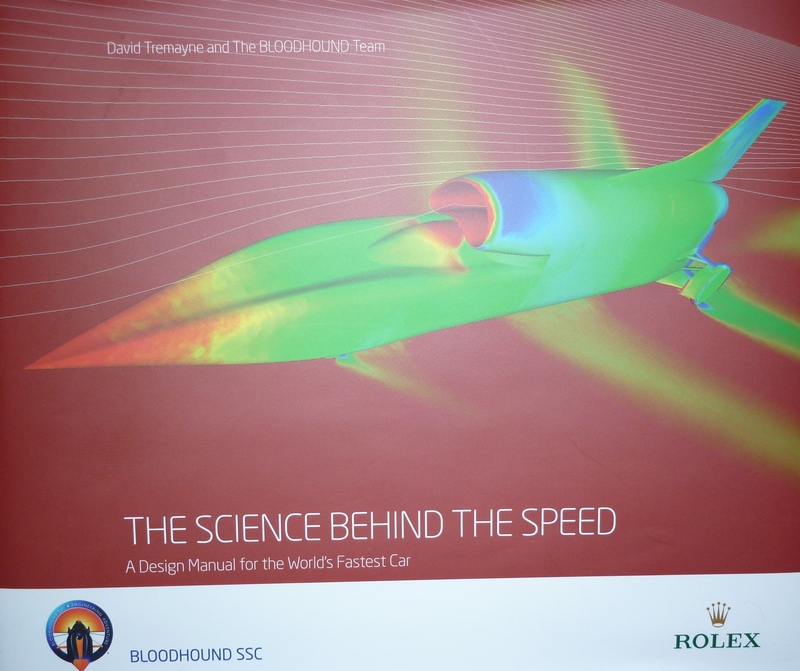 We are talking silk here with a light background thrum of twelve sparks igniting fuel every two engine revolutions. If you are someone who enjoys 60s and 70s American muscle rawness or laggy 80s turbo thrust this might not be for you. The experience instead is neither particularly vocal nor particularly fast but guarantees you will arrive at your destination stress free. 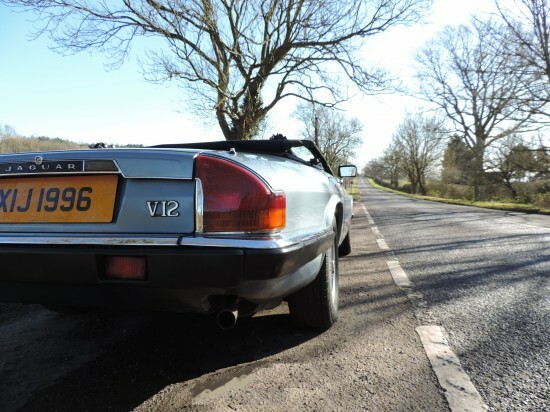 Smoother than a Jaguar car salesman the XJS Convertible V12 will leave you relaxed and able to unwind at the end of the day, plus everyone should be reminded how good this engine was at least once in their life. As a favourite meal: Despite being a Coventry car this is without question Mediterranean cuisine enjoyed Al Fresco in the sunshine. Anything Else: Touring couldn’t be any easier, except maybe on the wallet. 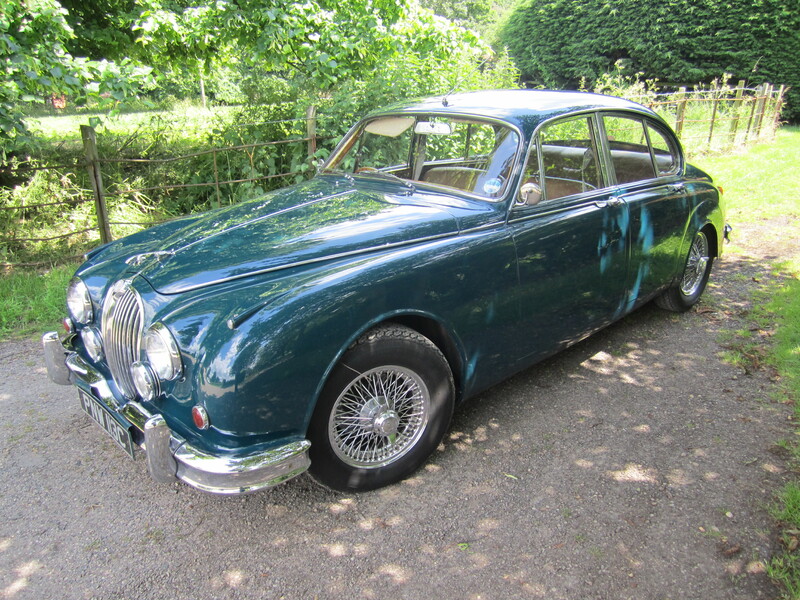 Key Ingredients: XJ6 chassis, V12 fuel injected 295bhp HE engine, lazy 3 speed auto gearbox, easy to operate electric hood and extremely comfortable leather seats.